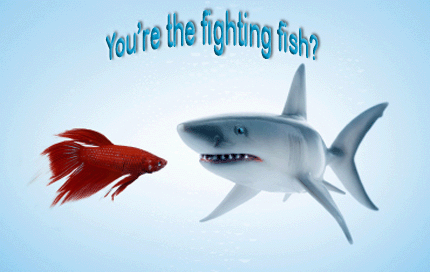 Most betta fish diseases are caused by either poor water conditions or a poor diet. With a little loving care, most of these are preventable. On this page you’ll find easy to follow betta fish care instructions to prevent betta fish illness as well as how to diagnose and treat your sick betta. 1. Change the water regularly. The entire tank water should be changed weekly. To make the water last a little longer, ladle out 500 ml every couple days and replace it with bottled water. If you see the water getting cloudy, make sure you do a full tank change right away. 2. Remove any uneaten food one minute after feeding. If left, this food will break down and create dirty water conditions which contributes to betta fish diseases. 3. If you’re using tap water, let it sit for at least 24 hours so that it loses all of its residual chlorine. Treated water from the city water supply can cause betta fish illness. 4. Betta fish hate changes in temperature. Make sure that the water you’ve had sitting out is the same temperature as the water in their tank currently. 5. 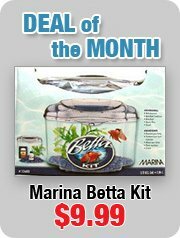 Use Betta Plus Water Conditioner to make sure the PH balance in your betta fish tank is perfect. 1. Do not over-feed your betta. Betta fish eat very little because of their relative inactivity. Only feed your betta what it can eat in 30 seconds (2 or 3 flakes should do it). 2. Make sure to use Nutrafin Max Betta food. This product contains nutrients to keep your beta healthy as well as color enhancers to keep him beautiful and vibrant. 3. Avoid feeding your betta live food. While live food is useful when trying to breed betas, it can contain toxins that may be introduced to an otherwise healthy betta. With a few helpful tips you can diagnose the symptom of betta fish illness and learn a proven method of treatment. The most important thing you can do is watch your betta when he’s healthy. By learning what his normal patterns of behavior are when he’s eating and at rest, it will be that much easier to identify when you have sick bettas. 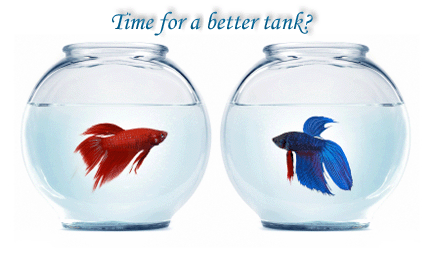 By diagnosing any problems early, you will be able to drastically increase your betta fish lifesphan. Below is a list of common betta diseases, their symptoms and how to treat them. Betta Popeye is a bacterial infection which actually results in “pop eye”, one or both eyes bulge out. This common beta disease is generally caused by poor water conditions. Betta Popeye is a pretty scary looking disease, but most sick betta fish eyes make a full recovery if they’re treated properly. Treatment: Change the tank water immediately. You should also scald the bowl as some of the bacteria can remain. The water should then be treated with betta ampicillin until his eyes have been back to normal for a full week. Betta Puffy Gills is usually caused by excess nitrate or bacteria in the water. A good water conditioner will prevent this common betta disease. On rare occasions, a betta may be born with a defective gill which will make it very susceptible to puffy gills. The main signs of puffy gills are inflamed gills that appear red on the inside. Your betta may also appear to be gasping for breath. Treatment: Do a full water change every couple days and add ampicillin and bowl conditioner to the water. Betta fish fin rot is also caused by dirty tank conditions. Your betta’s tail and other fins will slowly appear to be getting shorter and shorter. This betta fish illness is not overly contagious and your betta will fully recover if you catch it early enough. Treatment: Change the water in the tank and scald the bowl to get rid of any hardy parasites. Treat the water with Betta Plus water conditioner and ampicillin. Change the water every few days, recovery will often take upwards of a month, but your sick bettas fins will likely grow back and be beautiful once again. Betta Ick is an extremely contagious parasite so make sure that you isolate your sick betta. Also wash your hands and any plants before having contact with any of your other fish. Betta fish Ick can often be carried by live food such as bloodworms. You’ll know you’re dealing with betta ick if you start to see white dots on your betta. You may also notice a lack of appetite in your betta. Treatment: The Ick parasite cannot stand high temperatures, but your betta can. If you can slowly raise the temperature of your betta fish tank to 85 degrees and add half a teaspoon of aquarium salt for every gallon of water. At that temperature the ick parasite will let go of your betta and begin to swim by themselves and will be killed by the salt. If you don’t want to salt your aquarium water you can use Aquarisol. Betta Dropsy or Bloated Betta Fish: This is one of the fatal betta fish diseases and you really don’t want to come into contact with this bacterial infection. The result of betta dropsy is fluid building up under the skin, resulting in raised scales and a bloated appearance of your betta fish. The infection is usually caused by feeding your betta live food. 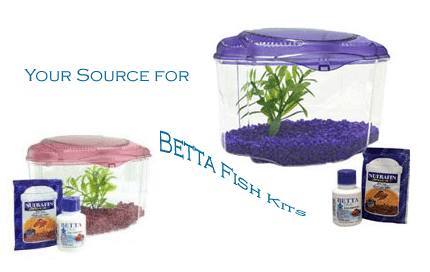 To prevent betta dropsy start using Nutrafin Betta Max food. 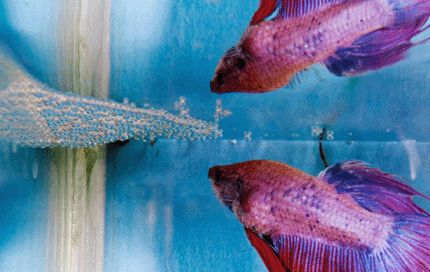 Treatment: Unfortunately, there really isn’t a cure for Dropsy betta fish. Keep your betta in clean water and on rare occasions, they will recover. This is the nastiest of betta fish diseases. Fungal Infection: you know your betta has it if you start to notice your betta fish turning whte. You may also notice that his fin’s start to clump together and lose their color. Treatment: Betta fungal infection is treated very easily with clean water and any type of fungus eliminator. If you catch it early enough, your betta will make a full recovery. 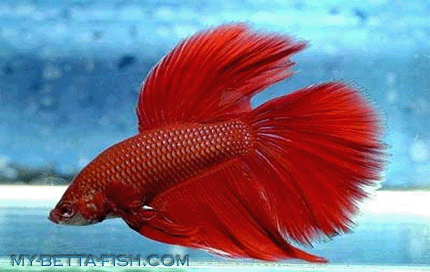 Betta Velvet is another parasite that results in your betta looking like it has been sprayed with gold dust. The Velvet parasite is very contagious, so make sure to isolate your sick bettas. Treatment: Can be treated by adding Bettazing to the water and changing the tank water every couple days. Make sure that you wash everything that comes into contact with your betta – your hands, the net, everything. Swim bladder disorder is caused by overfeeding your betta fish. It is most common in younger fish, but can occur at any age. Make sure to only feed your betta 2 – 3 flakes of Nutrafin Betta Max food a couple times a day. This is one of the more common betta fish diseases and results in the betta having difficulty swimming. Your betta may float on one side or lie on the bottom of the tank. Treatment: the first step in treating a swim bladder disorder is to reduce the amount of food you’re giving your betta. Your betta fish will likely recover on its own over the course of a couple weeks. 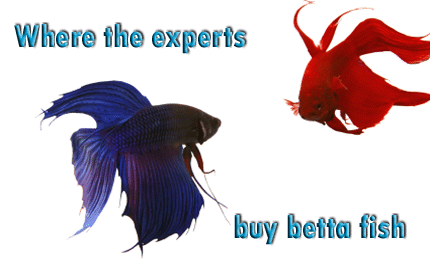 Hopefully you’ve found out how to diagnose and treat your sick bettas and to prevent betta fish diseases in the future. The best way to keep up to date on prevention strategies and betta fish care instructions is to sign up for our FREE Road to Betta Health newsletter and receive monthly advice from our experts. Fill out our newsletter subscription and start to receive the most trusted Betta resource guide for free. I used to have sick bettas all the time. I finally realized that what you say about changing the water is true. Since I started changing water every week and doing partial changes with bottled water, my betta has never been happier or healthier.